North Sikkim Tour is the most beautiful excursion of Nature, especially, the exploration of the eastern mountain range of the Great Himalaya. One of the most breathtaking landscapes in India, the region of the Northern part of the Sikkim state is the marvel of Nature of the Earth. 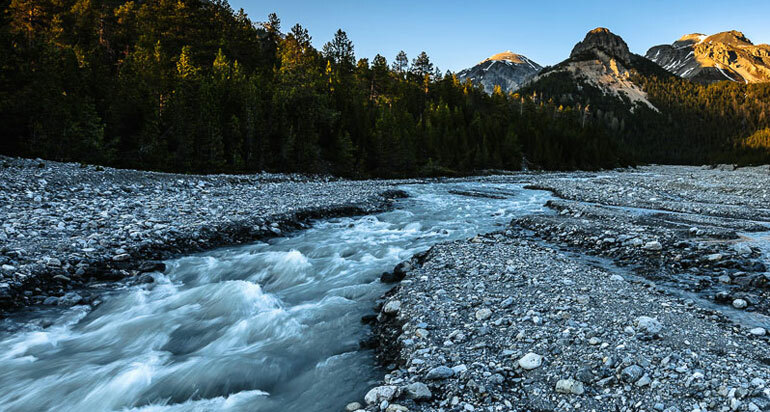 The pristine view of the white snowy mountain tops, vivacious waterfalls, bustling rivers, majestic lakes and the vivid flora and fauna have the capacity to spellbind its visitors with its spectacular Natural untouched beauty. 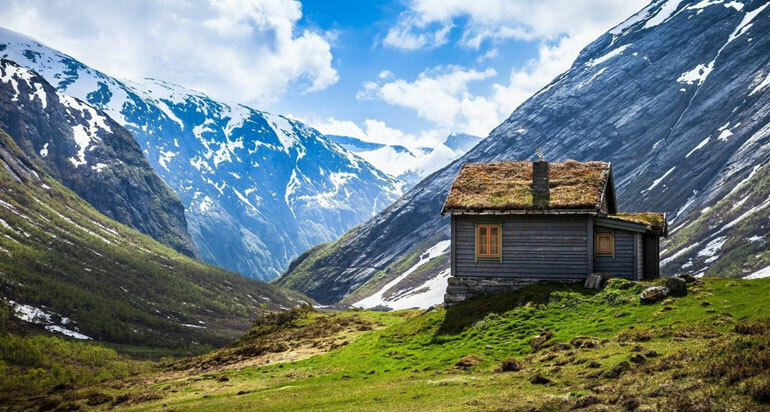 The North Sikkim Tourism attracts tourists of various interests like Nature-loving explorers, Adventure-seeking enthusiasts, romantic honeymoon couples, religious travelers or others. Our North Sikkim tour package is an excellently planned itinerary to cover all the tourist destinations of the North region of Sikkim. Our 06 Nights / 07 Days North Sikkim tour package starts from receiving you at the Bagdogra Airport or the Siliguri Railway Station and taken directly to the Gangtok. After the extensive excursion of the tourist destinations like Gangtok, Lachen, Gurudongmar Lake, Lachung, Yumthang Valley, etc., you will be dropped back to the above Airport or Railway Station for your journey back to home. The North Sikkim Tourism of the 7 days will be a memorable experience for life. 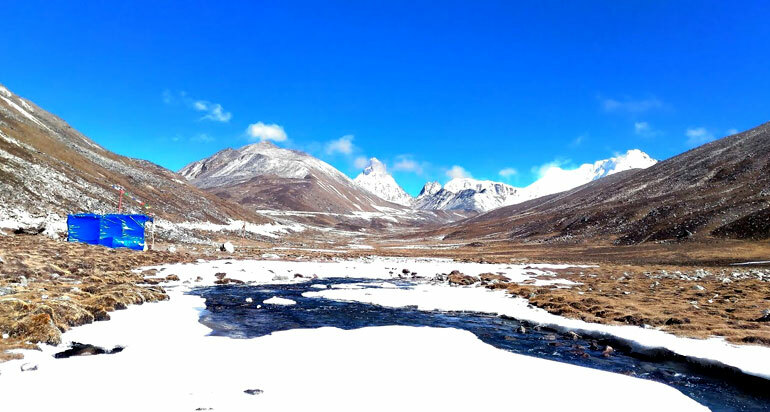 The flawless unblemished pristine beauty of North Sikkim will really refresh your weary mind and body. Lachen is a town in North Sikkim district in the Indian state of Sikkim. It is located at an elevation of 2,750 metres. The name Lachen means "big pass". The town is being promoted as a tourist destination by the Sikkimese government. The town forms the base to the Chopta Valley and Gurudongmar Lake. 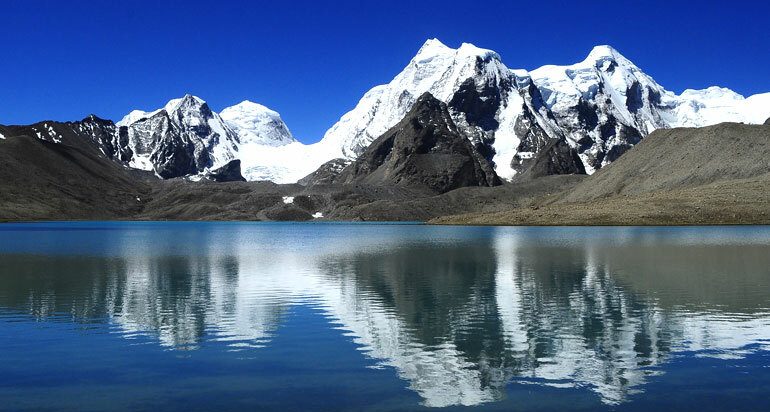 Gurudongmar Lake is one of the highest lakes in the world and in India, located at an altitude of 17,800 ft, in the Indian state of Sikkim. It is considered sacred by Buddhists, Sikhs and Hindus. The lake is fresh water and used to be very clear; the bed of the lake could even be seen from the middle of the lake. Pollution has muddied the waters in recent years, and the lake has taken on a white tinge and has obscured visibility. 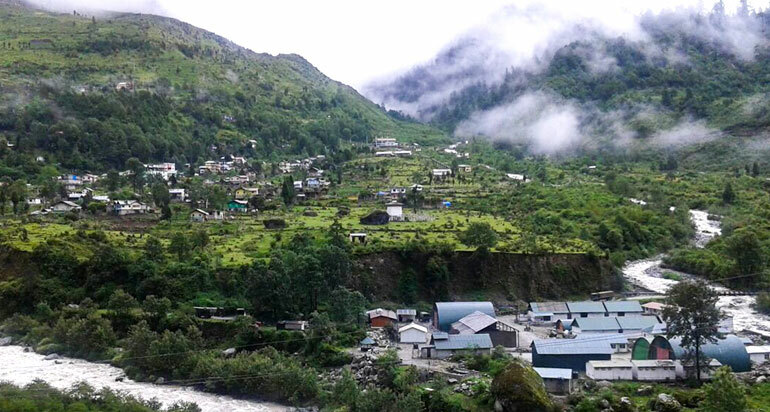 Situated at an altitude of 15,300 ft. above Mean Sea Level, Yumesamdong or Zero point is nature personified. It is a place very close to the Indo Chinese border. This place is generally not part of the standard itinerary, but is often merged with the itinerary of Yumthang Valley as an add-on. An hour’s drive beyond Yumthang (26 kms), takes one to Yumesamdong. The way leading to Yumesamdong is a passage through natural grandeur filled with the delicate scent of Azalea flowers pervading the atmosphere.